“Ceaseless change is the only constant thing in nature.” The origin of this quotation is unknown, but it is generally attributed, perhaps incorrectly, to Heraclitus. And nowhere is its sentiment truer than in propane markets. Three years ago, during the 2013-14 winter, the Midwest and Northeast suffered through major propane supply shortages and price spikes. Many marketers talked about the need to limit propane exports in order to ensure supply availability for the domestic market. 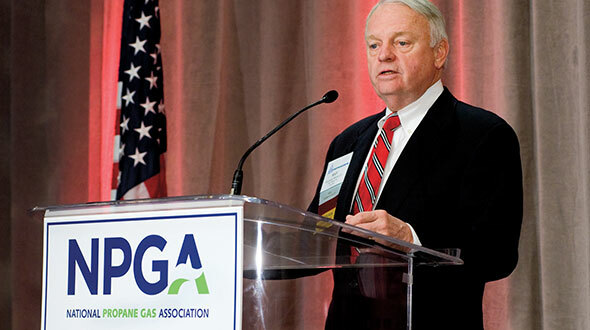 Since then, growth in propane production and new investments in rail and truck transport infrastructure, combined with two warmer-than-normal winters, has changed this outlook. 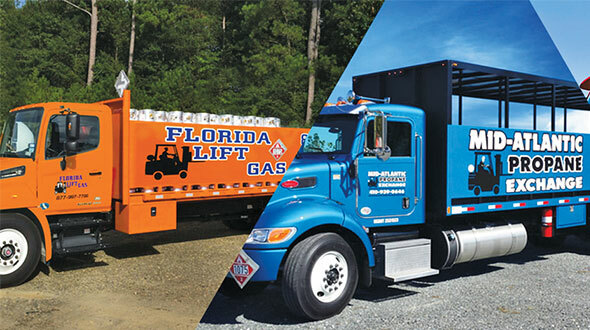 Propane inventories are near all-time highs, propane prices are relatively low and stable, housing markets are vibrant, new propane technologies are entering the market, and propane marketers are seeing the best conditions for market growth that we have seen in many years. However, the market continues to change. Through October 2016, U.S. propane exports averaged more than 750,000 barrels per day, an increase of 27 percent over 2015. This is about 11.5 billion gallons of propane exports per year, compared with a consumer propane market of about 8.5 to 9.0 billion gallons per year. Propane exports are now more important to producers than consumer demand. At the same time, export capacity has been growing faster than exports. The increasing amount of U.S.-produced propane committed to international markets means that more of the domestic propane supply infrastructure is contractually committed to serving export markets first. As a result, the supply response to higher-than-expected domestic demand during colder weather will require an increase in prices sufficient to bid propane away from export markets, slowing market response and increasing the challenges associated with ensuring supply security. The rapid increase in export capacity and in export volumes also makes the U.S. propane markets highly dependent on international market factors. The decline in oil prices and slower-than-expected growth in international economies have suppressed the growth in international propane demand. As a result, U.S. exports have effectively flooded the international market, holding down international prices. This narrowed pricing differential between U.S. propane and European and Asian propane prices has held down export levels and supported the strong inventory levels entering this winter. U.S. propane export terminals have been operating at only about 50 percent capacity (Figure 1), which has lessened the impacts of the expansion in U.S. export capacity on domestic markets. Exports and propane prices will increase when the Chinese economy picks up and will fall (or rise) when Europe has a particularly warm (or cold) winter. The imbalance between exports and export capacity is expected to increase. 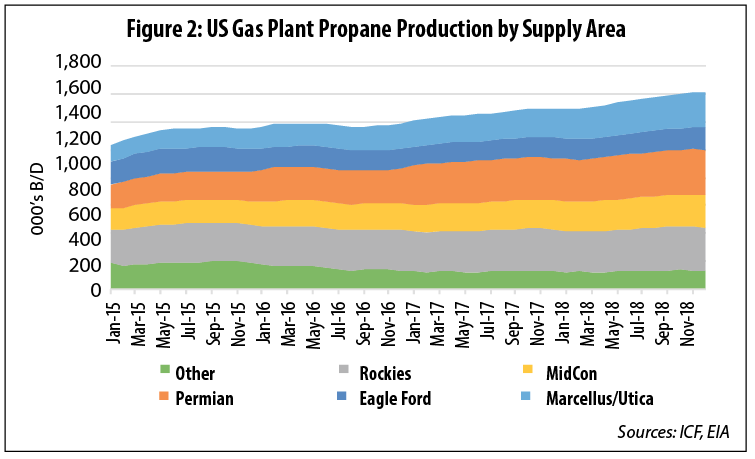 Due to low oil and gas prices and reduced drilling levels, North American propane production has been flat for much of the past year. While propane production is expected to rebound as oil and natural gas prices start to increase in 2017, with significant long-term growth potential in the northeastern U.S. and the Permian Basin (Figure 2), export capacity and utilization levels are also projected to continue to increase. 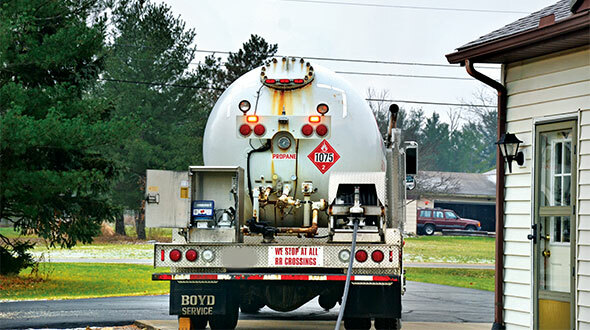 Following a low-demand grain drying season and a warmer-than-normal start to the current heating season, propane markets today can be characterized by low propane prices and high inventory levels across all regions, and supply challenges this winter look unlikely. However, the internationalization of U.S. propane is expected to impact the domestic propane markets and retailers next year and beyond. 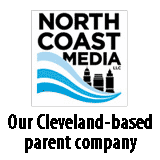 So while retailers may be focused on the warm start to winter and the prospect of another potentially lackluster winter heating season this year, the industry should also be planning to adapt to the changes already occurring in the market. 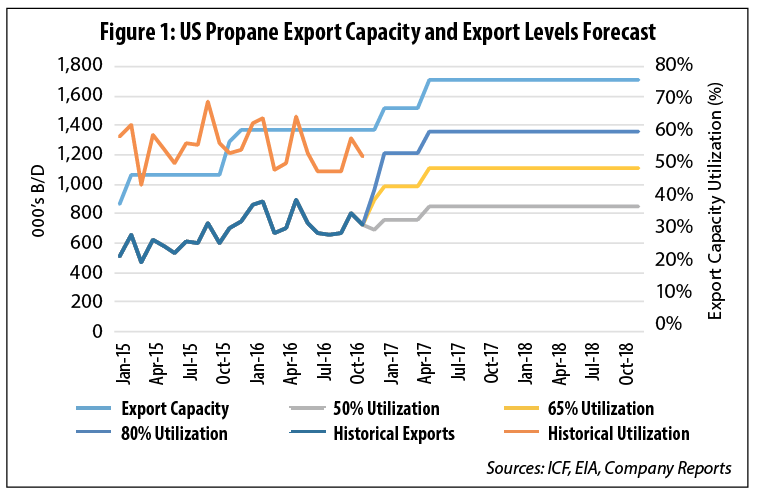 As early as next winter, the internationalization of U.S. propane markets will present new and ongoing risks for propane retailers in a tightening market that will be less focused on seasonal domestic demand and more dependent on international factors. Be prepared for the change. 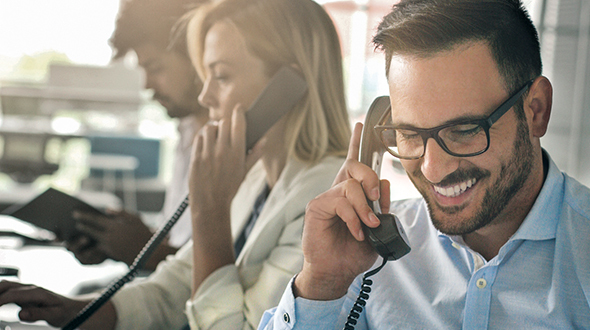 Plan on supply challenges and more volatile prices in the future – even as, on average, the growth in supply keeps prices low and market conditions provide the best opportunity for growth that the industry has experienced in many years. Michael Sloan is head of ICF International’s Gas, NGLs, and Oil Advisory Consulting practice and Eric Kuhle is a manager with ICF. They can be reached at michael.sloan@icf.com and eric.kuhle@icf.com.